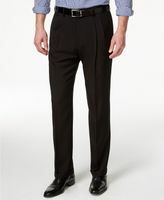 Pleated dress pants have long had a style connotation that flat front style pants never could muster. The pleats in pleated dress pants are not just for looks. 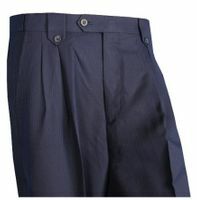 They give the man wearing them ease of movement and comfort. 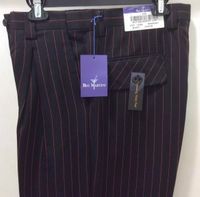 The pleated look that these dress pants have are only a bonus and have had a long and dedicated following. 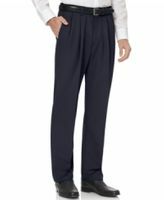 Men who wear pleated dress pants often refuse to wear any other type of dress pants especially when worn with your Stacy Adams Shoes. Need a sharp looking Double Breasted Suit that come in all kinds of styles.